Adore and adorn. Giving the perfect gift sometimes means putting classical simplicity and perfection first. 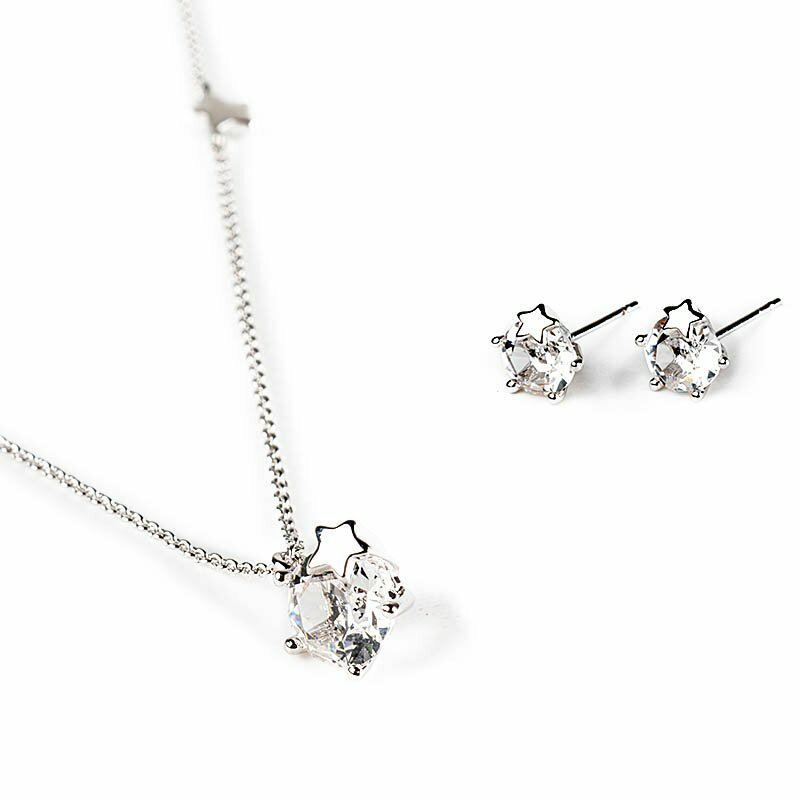 This set is comprised of a gold-plated pendant and rhodium-plated earrings, both with white Swarovski crystals. Sparkles and classicism. International Women’s Day is a chance for you to show your admiration for the women who inspire and support you in life. There’s no better way to do that than with an International Women’s Day gift. While the day’s traditional purpose has been to campaign for women’s rights, it has adapted to also including the giving of gifts for women as a symbol of gratitude and respect from men who are close to them. In many European countries, this includes the giving of flowers or small gifts, so it’s vital that you remember your Women’s Day gift delivery for the women closest to you, whether they are friends, lovers or relative. At FloraQueen, there is a wide range of ideas for women’s gifts to help you to send an International Women’s Day gift delivery and make a loved woman in your life’s day one to remember.